And just when you thought that the last version was going to come out for this classic recording? Now there is this new edition from a Japanese safety master from the original master tapes. The price here is exorbitant and will not win many over. For us in Canada, after the US exchange, all four operas would come out close to $2,000. Now that the Decca has already released the Blu-ray edition of the 24bit/48Khz James Lock re-master on one disc, getting us to dip again, and at this price point, will be a hard task for them. I would certainly be interested in hearing this, but at the price they are asking, I could almost buy a good used car. I do look forward to reviews and comments on this release as people become aware of it. I did research this release online and could not find any announcements or details for it coming out. This is the label&apos;s description. Whether or not it&apos;s worth the very high price will depend entirely on your wallet. 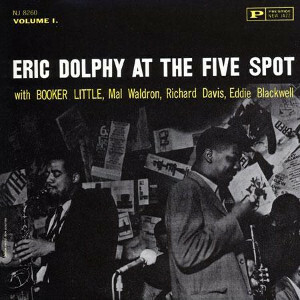 "The production master used for this SACD is the safety analog master tape that had been kept for the emergency use and unfortunately got forgotten for a long time. It had been made by the Decca Record Company in the beginning of the 1970s as a safety master tape, copying directly from the 1/4-inch original analog master tape on a one-to-one basis, and been provided to the King Records in Japan which was the importer and distributor of the Decca records at that time. It would have been used only if any flaws in the metal master prepared for the LP recordings had been found. But, for its limited usage (only used for the emergency) it had not been on a written record, and consequently, its whereabouts had become unknown. However, thanks to persistent searching by the Universal Music Japan, it was finally discovered and we got the privilege to be given a license by Decca to make a fresh transfer from this safety analog master tape. The master source currently used by Decca for Solti&apos;s Ring transfer is the digital master tape, commonly known as "James Lock Remaster", which was made by Decca mastering engineer James Lock who had assisted John Culshaw on the original Ring sessions. 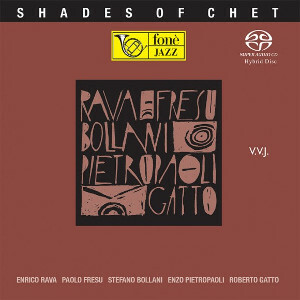 Assigned by Decca to de-hiss the Ring for the 1997 edition CD, Lock made new 48/24 transfers (PCM/48kHz/24bit) from the original analog tapes, applying processing treatments such as equalizing and noise reduction. Since the original analog master tapes were too deteriorated to make a new transfer (that was said by Decca), all digital discs and digital files that have been issued since 1997, without any exception, were made by using this "James Lock Remaster" as a source. Therefore, our SACD is the first and only transfer in the world, digitized from the precious master source that had been stored before remastering was applied." 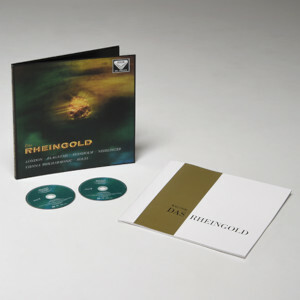 DAS RHEINGOLD came out a year ago or so, and was sold out already on the world-famous auction site before I found it there. I did get the other three operas in the set from them and was resigned to having an incomplete collection. 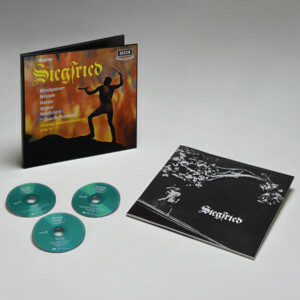 Then it appeared on HRaudio with the producers functioning as a third-party seller on Amazon, with two copies in stock. I ordered one of the two right away. Now the title is sold out altogether. So it is a miracle that I (and one other lucky customer) found it during the brief window of opportunity. 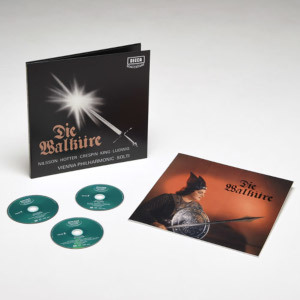 The whole Stereo Sound set has eleven discs — two for DAS RHEINGOLD, three each for DIE WALKÜRE and SIEGFRIED, and four for GÖTTERDÄMMERUNG. Act One of the latter is split between two discs. 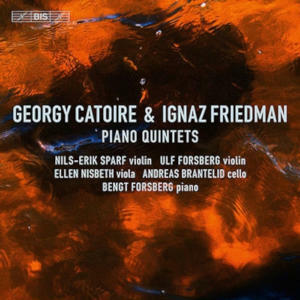 Today I listened to all four operas in the set, and did a few comparisons with the other releases. I used to have the vinyl, but no more. Yes, I do still have the Esoteric SACD set, as well as the Blu-ray set. In my listening test, the Blu-ray set had deeper bass, but it was on the harsh side. The Stereo Sound set has sweeter sound, or another way of putting it is that it sounds more like the Vienna Philharmonic. Since it is gentler in the gentler sections, the many climactic moments seem more climactic somehow. Overall, listening to the four operas in one day is less fatiguing. Of course, we Ring people have a high threshold of fatigue in general. The Mid-Definition Digital (1997) was made when the original master was thirty to forty years old, depending on the opera in question. There was probably some deterioration already at that time, accelerating to the point of making the master unusable in this millennium. 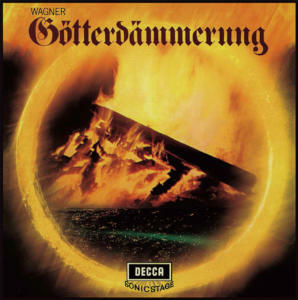 The Japanese Analogue Copy (1970s) was made when the original master was still young, ten to twenty years old depending on the opera in question. So the Stereo Sound transfer has the double advantage of true high-definition from a superior source. With my own ears as my guide, I conclude that the greatest recording of all time has found its best presentation to date on the Stereo Sound releases. Although it is no longer possible to get this set complete, picking up one of the volumes would give anyone a chance to make one&apos;s own comparison. Perhaps in the not-too-distant future the Stereo Sound transfer will get released again in SACD or in another hi-resolution format. Decca may have stipulated some time frames in their license of the material to Stereo Sound. They were remarkably generous to allow their own releases to face such competition: or is Decca getting a cut in the stratospheric price point of these discs? I holidayed for a week in Kyoto/Tokyo over Xmas. Tower Records Kyoto had no copies of the Stereo Sound Decca Ring. I have the Esoteric SACDs as well the Decca blu ray audio. Anyhow, surely in the course of time Universal Japan will release a SACD transfer of their own. What I find strange in this story is how four reel to reel opera sets could possibly be mislaid/mistakenly filed for forty years. Even if the boxes of safety master tapes were put in a broom cupboard they would surely take up much more space than a broom, and the cleaners would notice. Tower Kyoto did stock almost everything of their Tower SACDs except the Jochum Bruckner EMI/Dresden set. It&apos;s smaller than the main Tokyo store, but amazing to see so much classical stock, in all the Japanese flavours - SHM, SHM SACD, Hi Quality CD, weird Exton CD formats priced with so many zeros in yen that it might have been the cost of some seafood delicacy. "Rheingold" is the only one in the set I was not able to get, unfortunately. And there are none for sale on the auction site. :( Maybe some day.